Daryl Johnson (Worcester Park, United Kingdom) on 25 June 2013 in Architecture. Preciosos reflejos sobre los tejadillos. 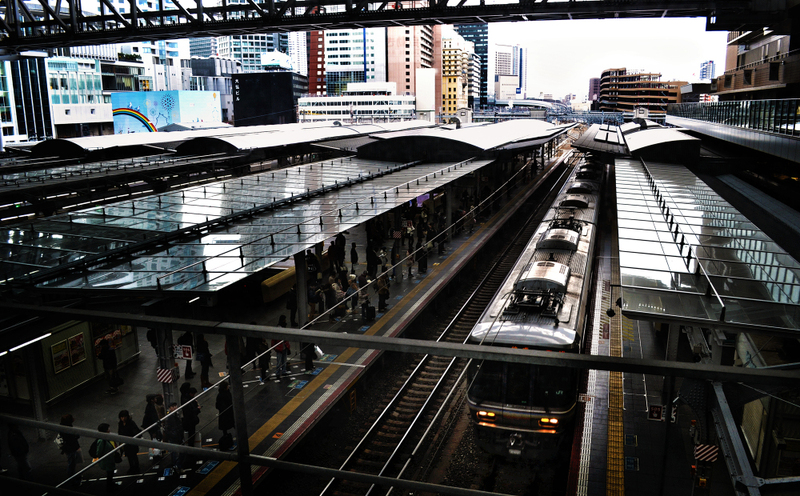 A great capture of Osaka st. You're a magician who can change an usual view to a special one. I favour this view in colour (to the previous one), it makes the station alive...as it is in reality! Great perspective with the reflections! Color is also very beautiful. Excellent perspective. A wonderful picture. I like a lot. This is a super shot with the train at one platform and the people waiting on the other. Fantastic shot with all the nice activity ! The lights on the train and the overall overhead light make this superb !! Amazing camera works ! !